On Friday the 15th of June, we had the opportunity to present a workshop at the “Giornate degli Specializzandi di Igiene e Medicina Preventiva”. This is an annual congress that brings together all the public health residents in Italy. This year it took place in the beautiful city of Catania, Sicily. The workshop was organised on the second day of the congress. Alberto, EuroNet’s president, and Spela, E-RECT’s working group lead, presented the session. 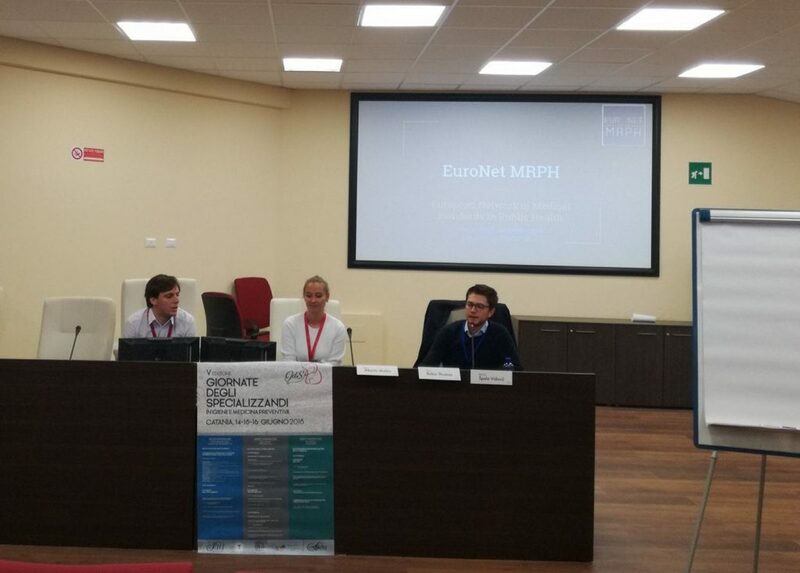 During the workshop, both euroneters described the network to our Italian colleagues, as well as the work that we do in relation to improving the public health training programmes in Europe. After a couple of short presentations, the Italian residents were divided in groups and asked to give their opinion about how public health could be promoted as a popular specialty among medical students; and about the good and not so good aspects of their residency programmes. Their responses were discussed and collected, so that they can inform future work of the network. The workshop proved to be popular, generating useful discussions which prove the importance of the topic. We were also able to see old euroneters who we hope to see soon and to meet new residents, some of which have been gifted with EuroNet’s party spirit (to be continued in Valencia). We really enjoyed the Sicilian hospitality, which included a large amount of aubergines and late parties. We want to thank specially Robin Thomas, who was “in charge” of us. He really did a fantastic job and we are very grateful to him. We hope this is only the beginning of EuroNet’s involvement in national events such as this one. By being present in this type of congresses, we ensure that our work is aligned with the interests of public health residents across all European countries. Once again, grazie per tutto EuroNet Italy!